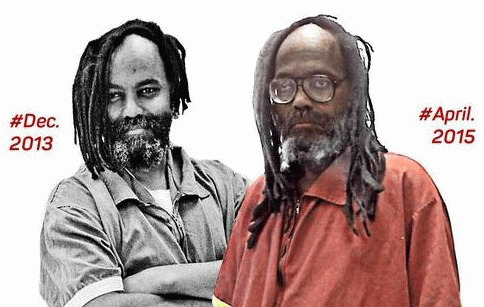 Depending on how you look at it, lawyers for Mumia Abu-Jamal, the Philadelphia journalist and political prisoner serving a life sentence in a Pennsylvania prison after a controversial 1982 conviction for killing a white Philadelphia police officer, won a huge victory, lost big or maybe won and will win again soon. His victory, a finding issued on Sept. 1 in Scranton, PA by Federal District Judge Robert Mariani that the state's Department of Corrections "protocol" for treatment -- actually for non-treatment -- of inmates with deadly Hepatitis C cases, violates the US Constitution's Eighth Amendment against cruel and unusual punishment, if upheld on appeal at the Appellate Court level, could open the door for thousands of the state's inmates with Hep-C to receive the latest highly effective but extremely costly medicines that could eradicate the virus from their bodies. It could also serve as a powerful precedent to win such treatment for the tens of thousands of infected inmates in the sprawling web of other local, state and federal prisons across the entire US who are currently being denied care for what has been called a prison epidemic of Hepatitis C.
Abu-Jamal's loss, on a minor and correctable technicality, means that his own raging Hep-C infection, first discovered over a year ago, will continue to go untreated with those medications, meaning his liver will continue to suffer further irreversible damage from the disease -- damage that could, if allowed to continue untreated, amount to an extrajudicial execution despite his having already had his original death sentence overturned as unconstitutional. Bret Grote, legal director of the Abolitionist Law Center, an anti-death penalty organization, filed the lawsuit on Abu-Jamal's behalf in August 2015 seeking a preliminary injunction to force the DOC to provide life-saving new anti-viral drugs to him to treat and cure the Hep-C wracking his body. He says that the reason the judge gave for denying that request was that the suit had not properly named the individuals in the Department of Corrections responsible for determining whether a prisoner would or would not receive treatment.